With every new Android update, hidden features are lurking under the surface. Google hides these options to prevent unnecessary tinkering by average users, leaving them in place for power users to discover. These secrets range from silly to really useful, with the latter opening up new ways to manage your phone. All these hidden features are currently still available on the first release of Android 9.0 Pie. Whether Google decides to remove them in later updates is still up in the air, but we expect these features to remain. All the options are pretty easy to find, with a tutorial for each one to help you unlock these features and impress your friends and family. New in Android 9.0 Pie is a secret menu option called "Feature Flags." Similar to Chrome's secret options (that are similarly named), Feature Flags lets you tweak specific design choices back to their Android Oreo versions, for those who don't like the changes. Check out our tutorial to learn how to unlock this feature. System UI Tuner has been a secret menu in Android since 6.0 Marshmallow. 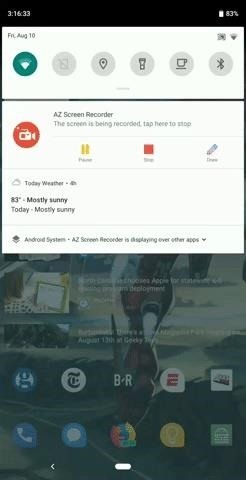 While more and more of its functionality moves to other areas, it is still of one of the only ways you can modify the status bar without rooting your device. However, unlike the previous version of Android, System UI Tuner in Android Pie requires a different method to unlock. To learn how to unlock it, check out our step-by-step guide. Android has been known to house an easter egg with each OS update. Typically, it requires several touches of the version number on the About Phone page, which will reveal some animation or game relevant to the dessert the OS version is named after. While Android Pie's easter egg is a boring "P" symbol, a popular old easter egg is still included: The Flappy Bird clone known as Flappy Droid is now hidden elsewhere. The game was first introduced in 5.0 Lollipop and included a different environment from the popular game with giant lollipops as the obstacles you are trying to avoid. With Android 6.0 Marshmallow, the game was updated to reflect the new dessert with giant marshmallows instead of lollipops. The Marshmallow version of this game has been hidden in several newer versions of Android, with Pie being no exception. Check out our guide on how to unlock this game. 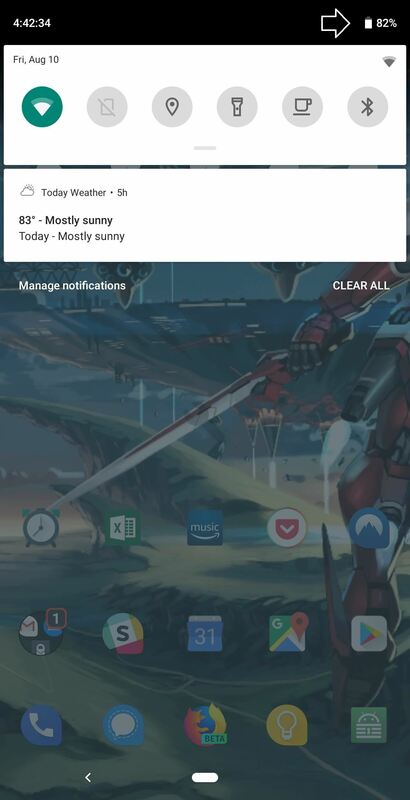 A neat hidden feature in Android 9.0 Pie is a new way to get to the Clock app quickly. 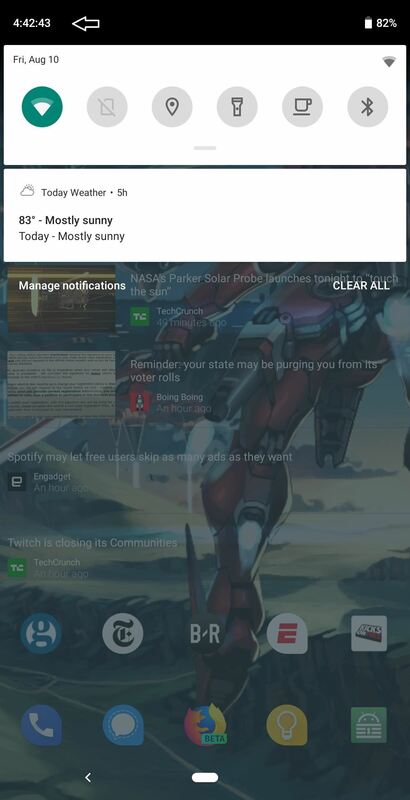 While in the Quick Settings menu (whether fully revealed or partially), if you tap the time in the top-left, you can launch the Clock app. Even better, if you have multiple clock apps installed on your phone, you can pick which one you wish to launch. 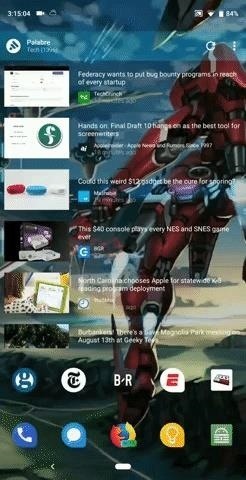 Similar to the last hidden feature, Pie also introduced a new way to get into the Battery menu from any screen quickly. With the Quick Setting revealed (whether fully or partially), by selecting the battery icon in the top-right, you can quickly jump to the battery menu. Nothing mind-blowing, but still pretty neat. What do you think about Android 9.0 Pie's hidden features? Have you found any that we've missed? Let us know in the comment section below.